If you know me, you know that I love pretty much anything Joe Lansdale writes, and I’ve been reading him since he started. He’s truly got a unique voice, tells a helluva story, and is one of the finest exponents of what I consider moral fiction. That’s not to say you won’t find nasty words and especially nasty deeds in Joe’s books, or that he’s beating the Bible or the Talmud or the Koran, or proselytizing in any way for organized religion. On the contrary, he has no time and no sympathies for that kind of thing. But there’s always a code of morality and a sense of honor working overtime in his stories, and particularly in these Hap and Leonard tales. I must admit that I’ve always loved Joe’s standalone novels the most. Paradise Sky, The Thicket, Edge of Dark Water, and A Fine Dark Line are as good as any American novels of the twenty-first century. 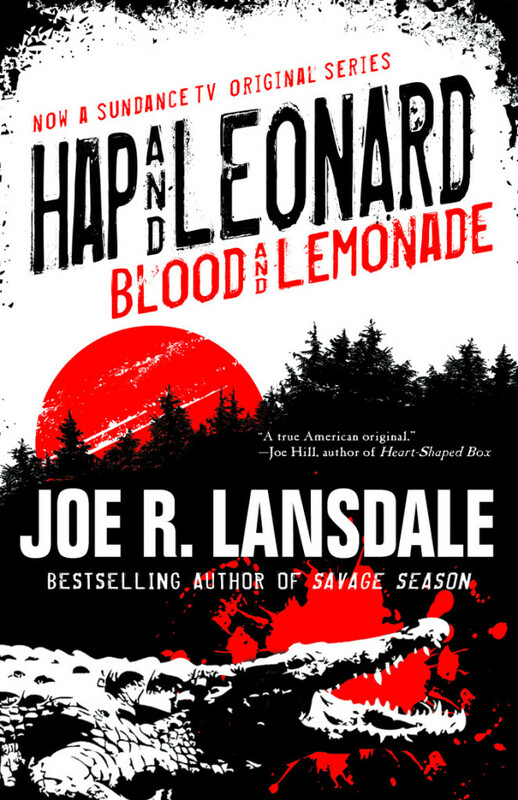 I always think of Hap and Leonard books as more fun and, in a way, less serious than the others. On the surface, anyway. It’s primarily because of the way the two men interact. Here are two guys, one white, one black, one straight, one gay, who love each other as brothers and trust each other with their lives. They’re also damned funny, with Hap’s dry, Lansdalian first person narration, and Leonard’s droll, sassy counterpoint. It’s always great to visit them again. These guys make you laugh so hard that you forget you’re ducking bullets. What you also can forget is that those bullets are real, and that death is always a possibility. The weighty moral questions are still there in the background, to be considered in the decisions that the two men make over matters of life and death. It’s just that we’re having so goddamned much fun that we don’t always realize it. That isn’t the case with the collection of connected stories that make up Blood and Lemonade. Everyone’s character is the result of their past, and with these stories we get a deep and textured look at what made the adult Hap Collins and Leonard Pine the men they are, and the reasons that the link between them is so strong. Most of these stories are new, though a few have been published before, but the way Joe makes them part of a “mosaic” novel will make them seem fresh and new to the veteran reader. (Hell, Lansdale stories can always stand rereading anyway.) Hap and Leonard explore their pasts, and we learn more about Hap’s parents, particularly his father (though his mother is the center of the sad and touching title story). Hap’s dad is the father that, for the most part, each of us wish that we’d had, and some of us (including myself) were lucky enough to. The moral lessons and the codes of honor are strong here. They’re what created Hap’s character, and what bound him to Leonard in their youth. We see all those incidents, and we watch as they meet for the first time, fight their first enemies together, face mortality at the bottom of a dark river, and learn the lessons that formed their sense of morality. When you come right down to it, this may be my favorite Hap and Leonard book ever, and that’s saying a lot. I’ve read and relished all the others, but this is something special. It’s a look into the hearts of two men who’ve become more than fictional characters. To all those who’ve read their exploits, Hap and Leonard are more real than some of the should-be fictional villains who decide the fates of nations, and far more “moral” than all of them. If Hap and Leonard ever run for office, they’ve got my vote. In short, grab this book and cherish it. There are thrills, laughter, and great truths in its page. How could we expect anything else from Joe Lansdale? Previous PostIn The Guardian with my 10 Favorite Deranged Killer Novels…Next PostRyan Lieske’s THE READING LIFE…with ME! By Golly, what a great review. Gonna have to get this one for sure. Thanks for the tip. Came in the mail yesterday and it is on the top of my to read list.